Great pic Monica! Merry Christmas! Merry Christmas, Monica! God's Blessings to you and your family. The colors really pop! Merry Christmas and have a safe trip! What a beautiful card!! Merry Christmas to you and yours! Can't wait to see pictures! Have a very MERRY CHRISTMAS with your beautiful family. Loved that little card you made! Merry Christmas! Enjoy the white Christmas in the mountains. Beautiful card! 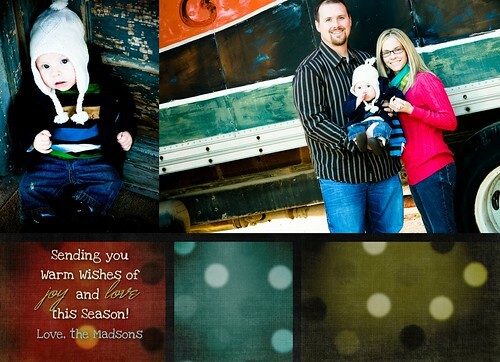 Beautiful card AND family!! :) Happy wishes for new year!